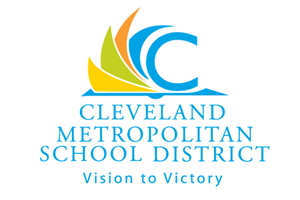 The Board of Education serves as the governing body of the Cleveland Municipal School District. The Board, with the concurrence of the Mayor, appoints the Chief Executive Officer of the School District. Other Board responsibilities include setting School District policy, approving the School District budget, establishing School District goals and accountability standards, and promoting parent, family and community involvement in the schools. This is a unique governance structure, as all other school districts in Ohio elect members to their boards of education. What is the CMSD Nominating Panel and how are members selected? How many Board of Education members are appointed by the Mayor, and how are they sworn in? Under Ohio law, nine members of the Board of Education of the Cleveland Metropolitan School District are appointed by the Mayor of the City of Cleveland. However, the oath of office can be administered by any of the following people: any elected official in the City of Cleveland; the Board of Education Chair; the CMSD Chief Financial Officer; or any attorney or notary public in Ohio. How are School Board vacancy applications processed? Applications are submitted to the Mayor’s Chief of Education. Blank applications can be found on the City, CMSD and Cleveland Public Library websites. The Chief of Education forwards all applications to the community-based Nominating Panel members. Thereafter, the Mayor can appoint persons from a slate of nominees recommended by the Nominating Panel. How long is a Board of Education member’s term? Board of Education members serve four-year terms. Who is in charge of the School District? 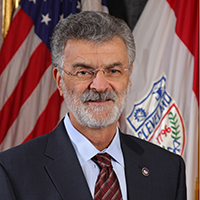 CMSD’s Chief Executive Officer runs the School District and the Mayor of the City of Cleveland serves as the appointing authority of the Board of Education.